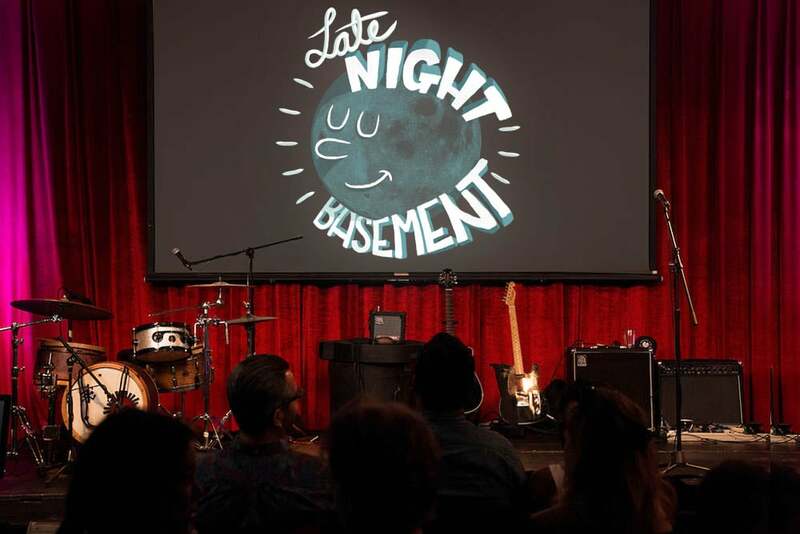 I created the identity for the popular Brooklyn based live comedy show Late Night Basement, named best comedy show in NYC by New York Magazine in 2016. This included a central logo image as well as various logo-type treatments for use across print, posters, advertising, social media, and video. Additionally, I animated a bumper for use on their widely distributed videos and a looping animation for use during the live show. The show has featured a wide range of comedic and creative talent. The logo animation is projected or displayed in various situations live, depending on the performances and venue. I'm not %100 sure what this is, I think someone built a miniature set for the show? Just saw it on Instagram and grabbed it.